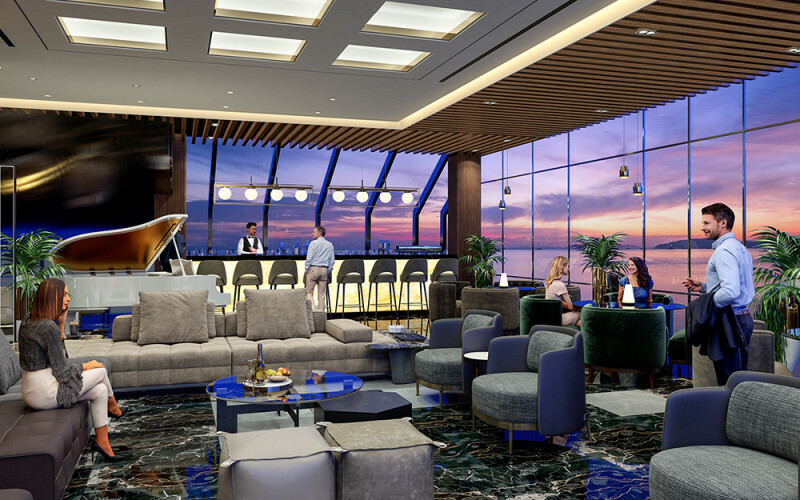 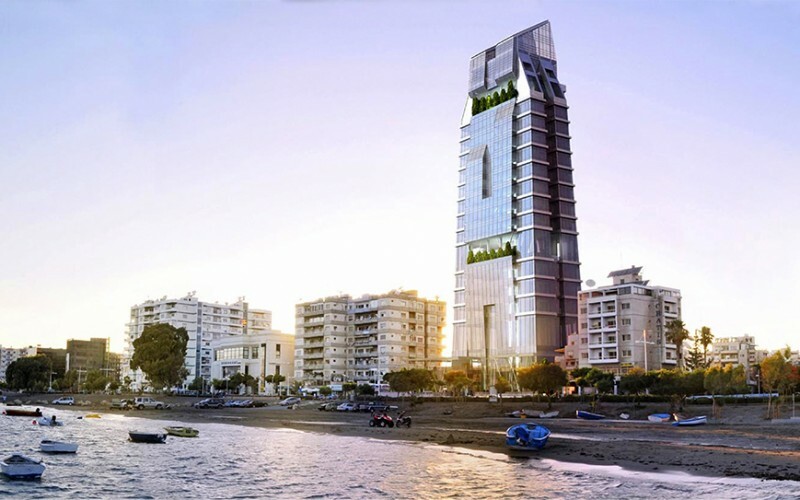 Total Tower is set to be one of the tallest buildings in Cyprus, in the vibrant business hub of Limassol, in the southern coast of the island. 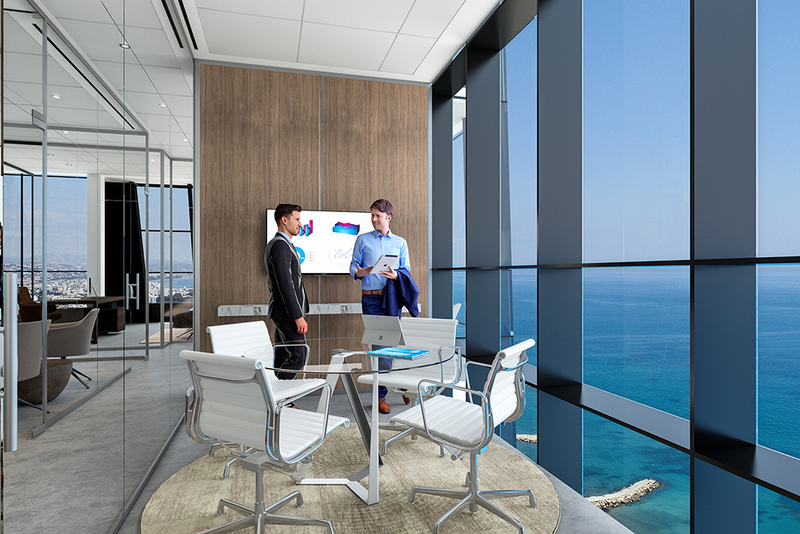 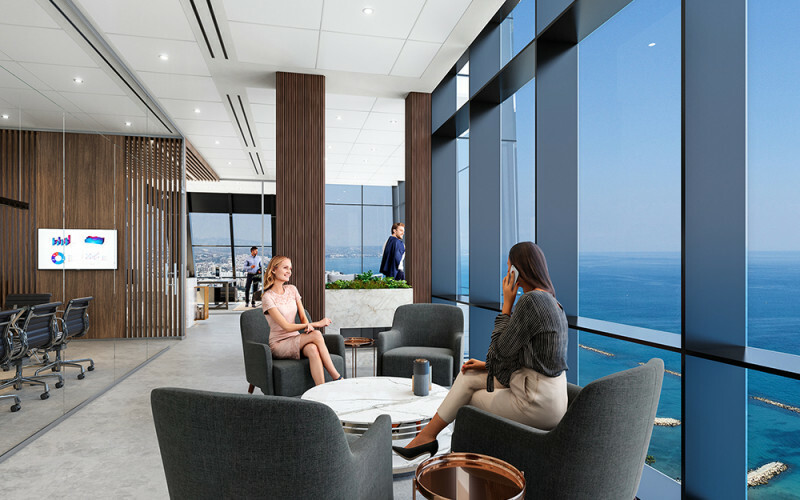 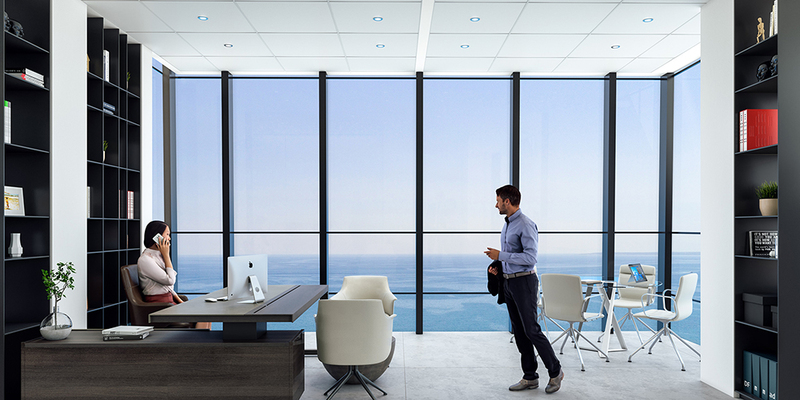 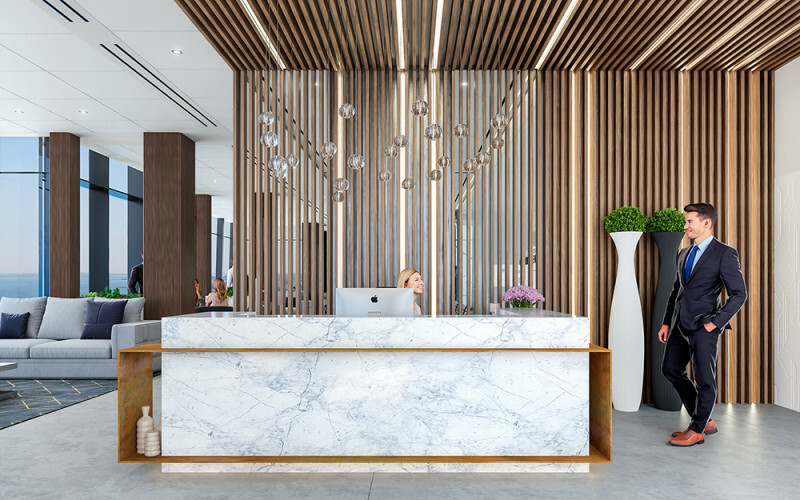 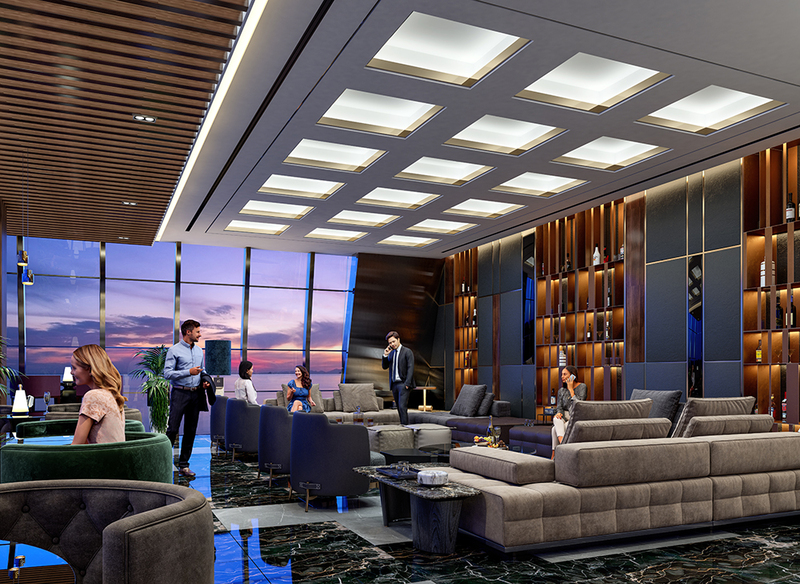 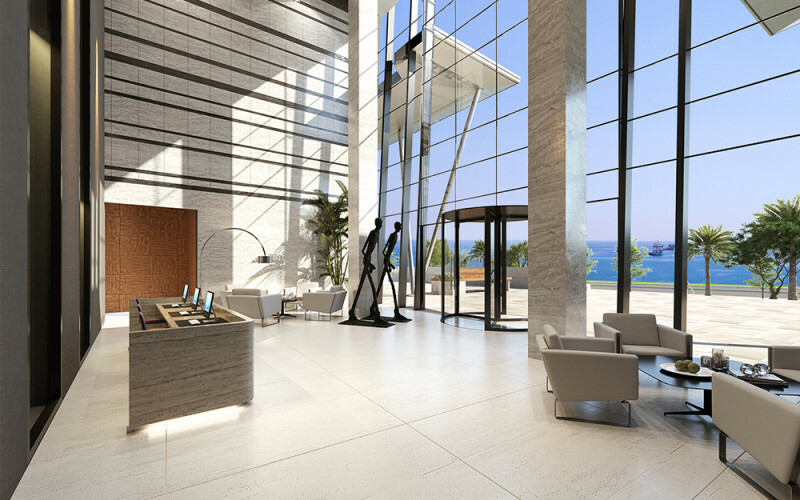 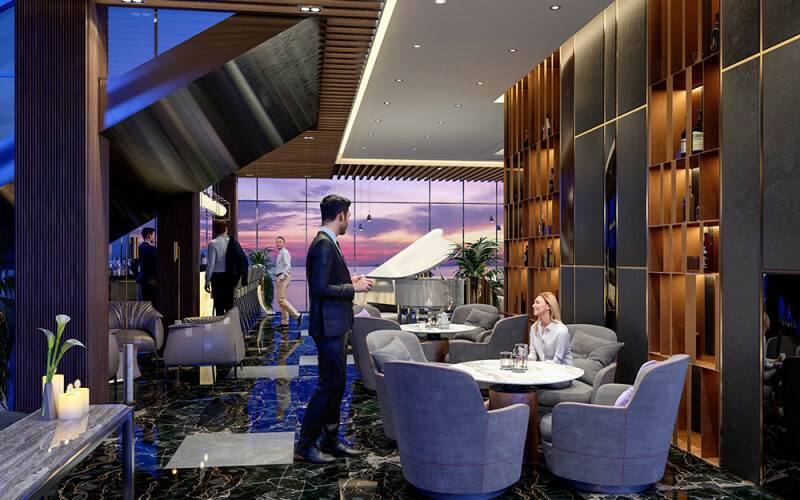 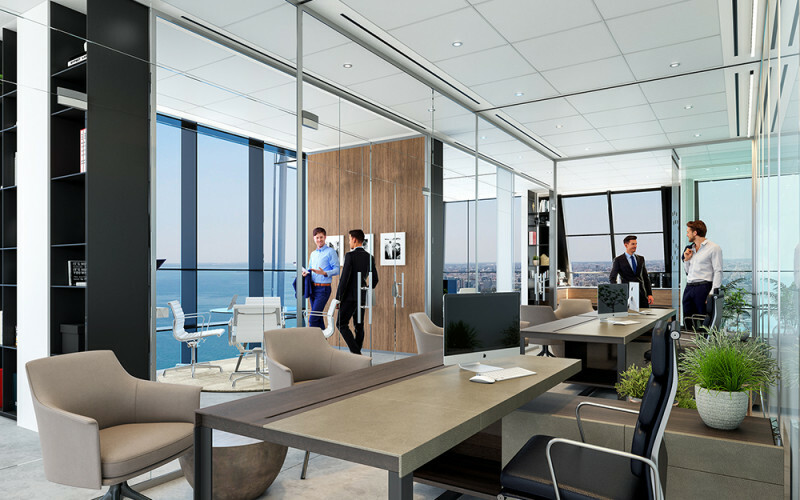 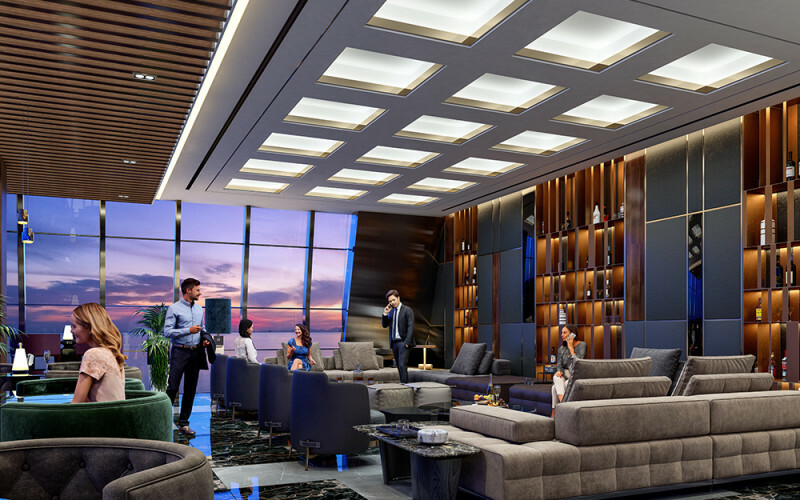 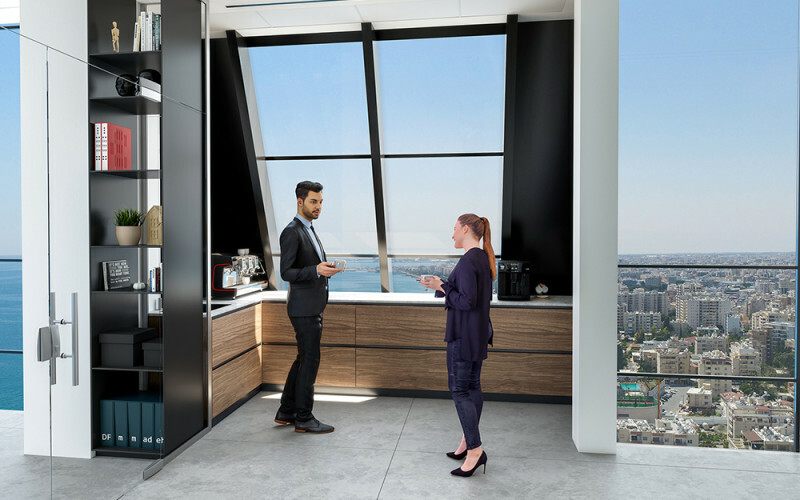 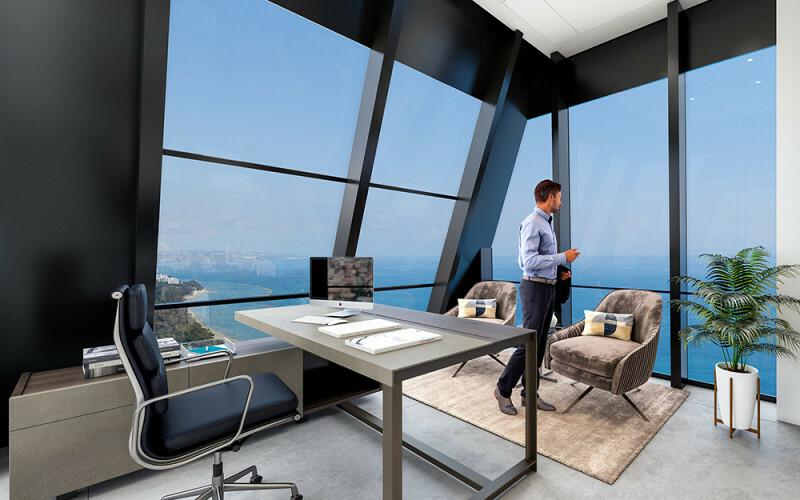 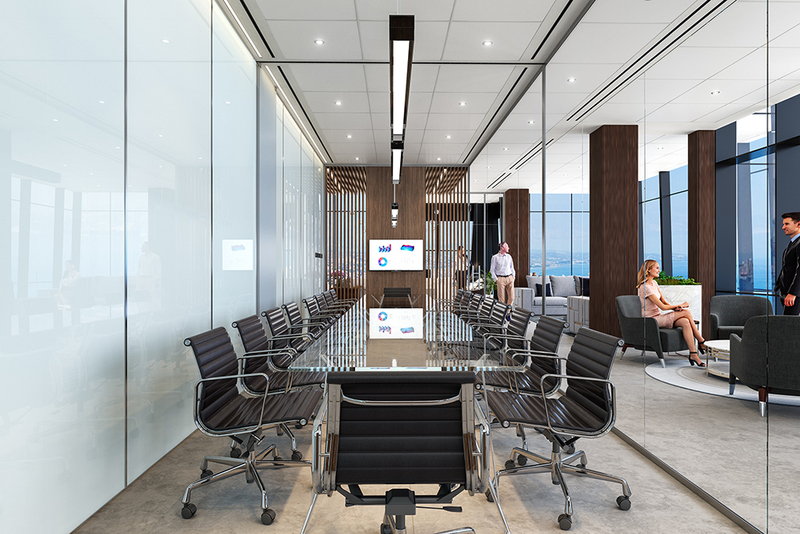 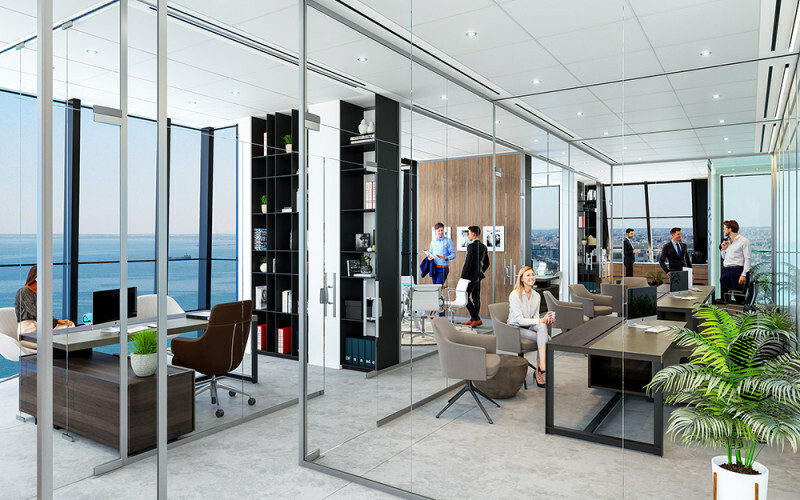 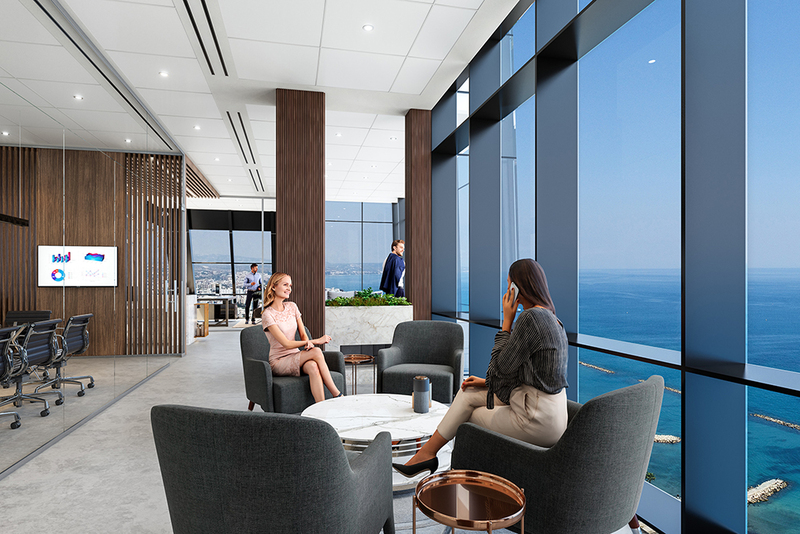 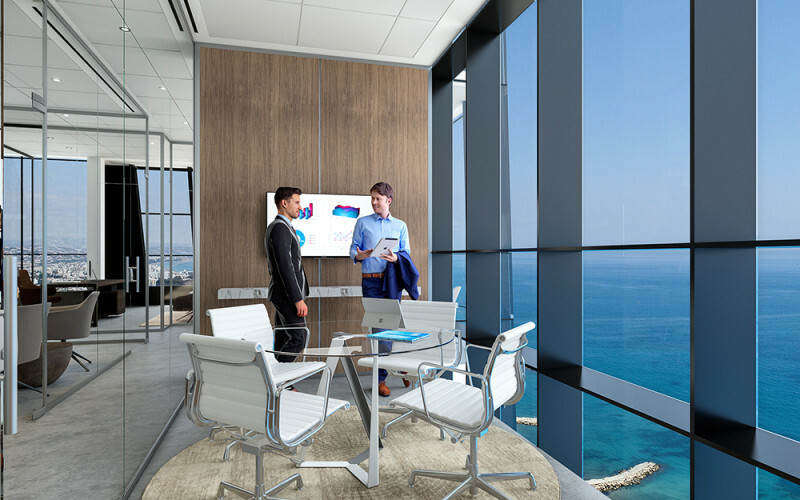 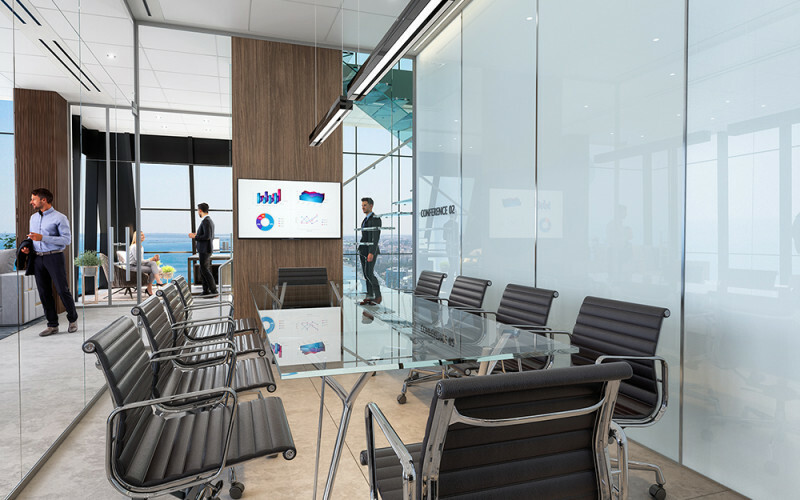 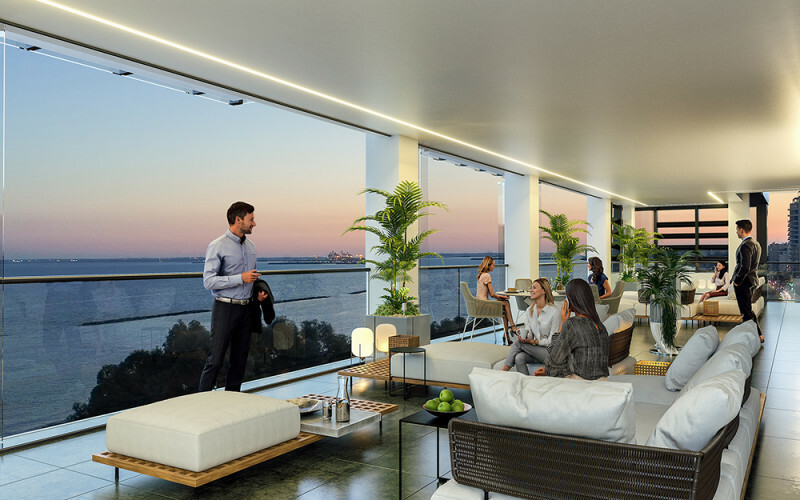 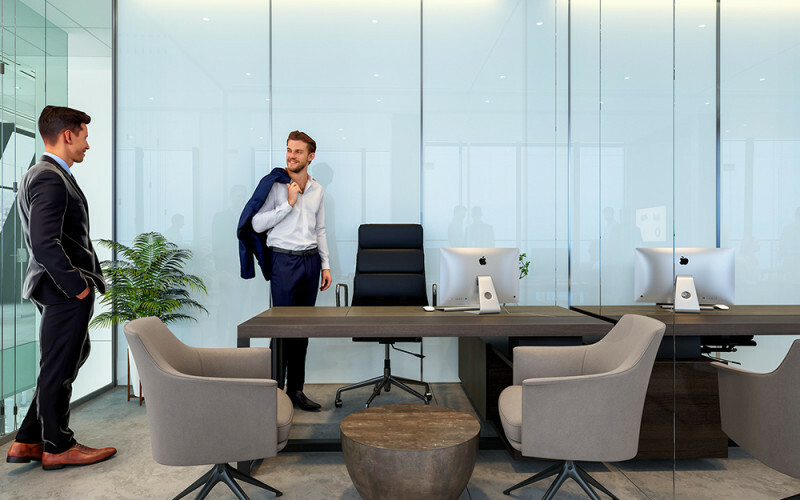 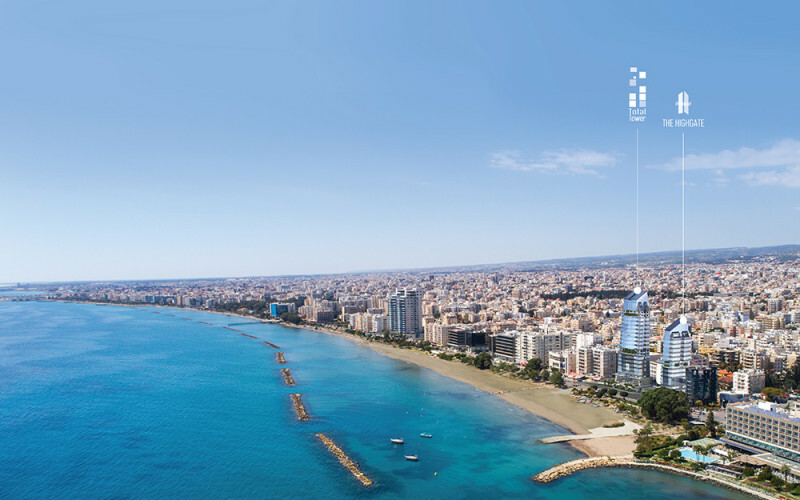 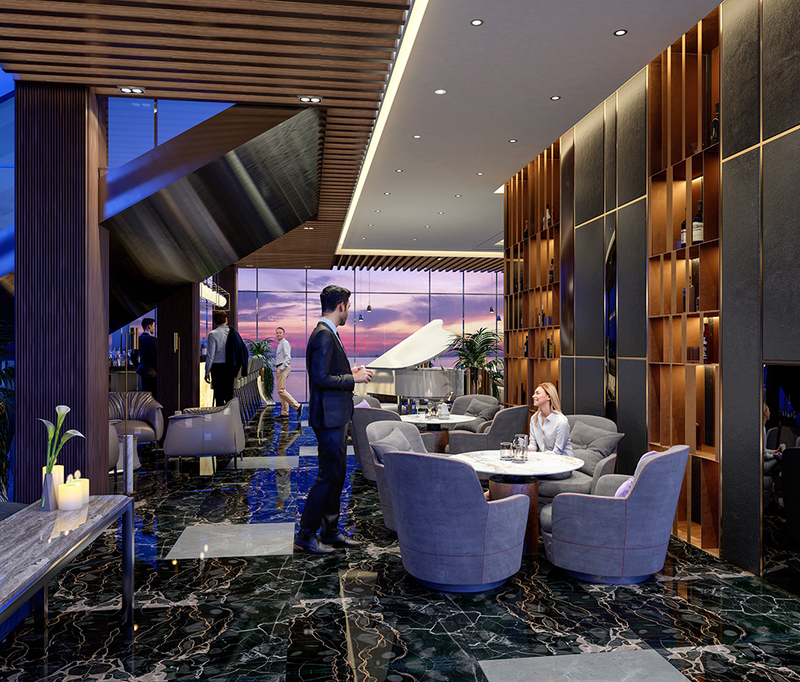 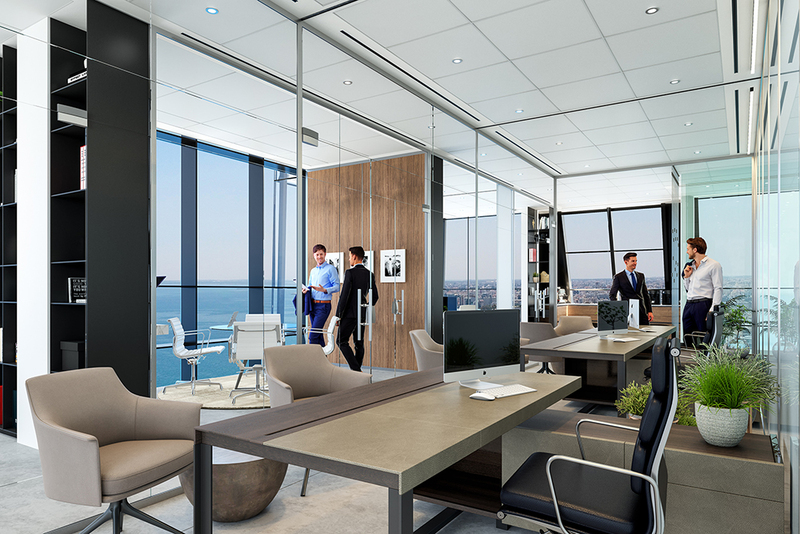 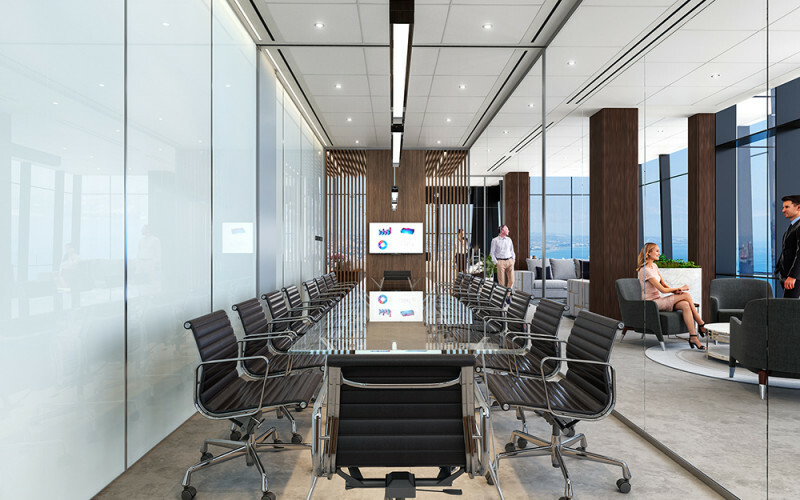 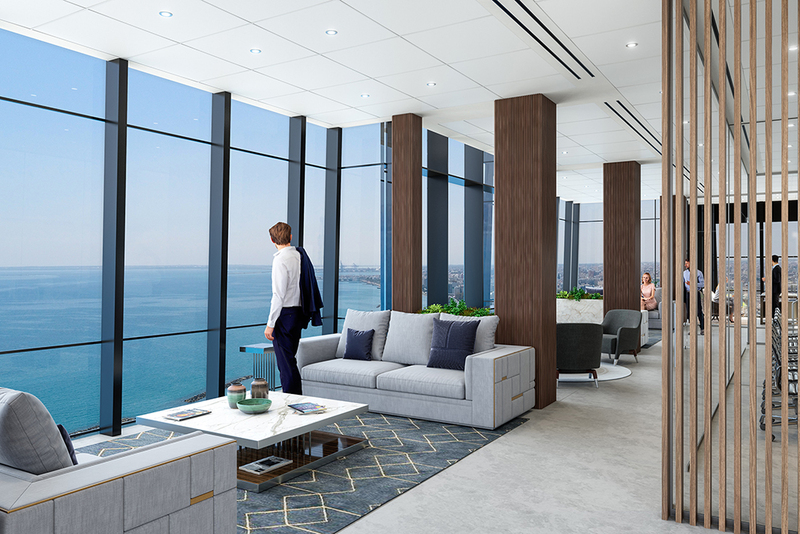 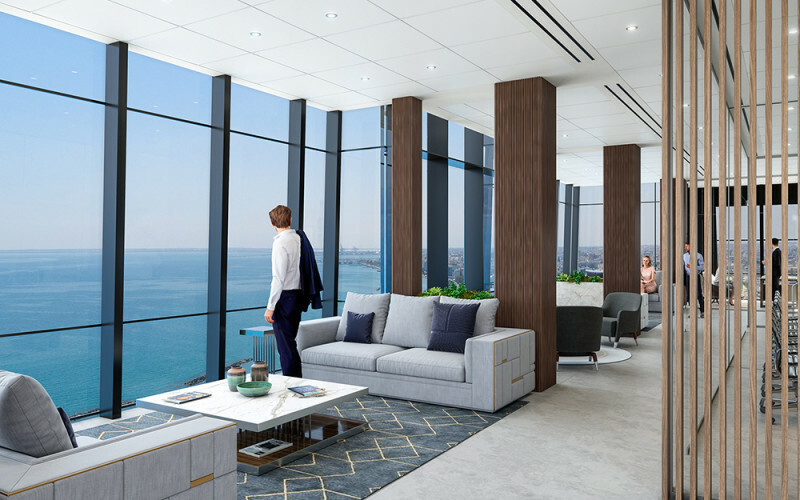 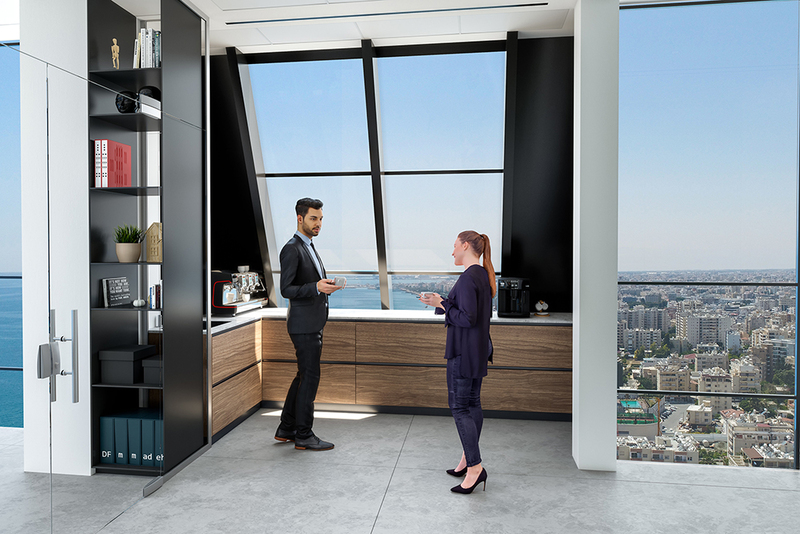 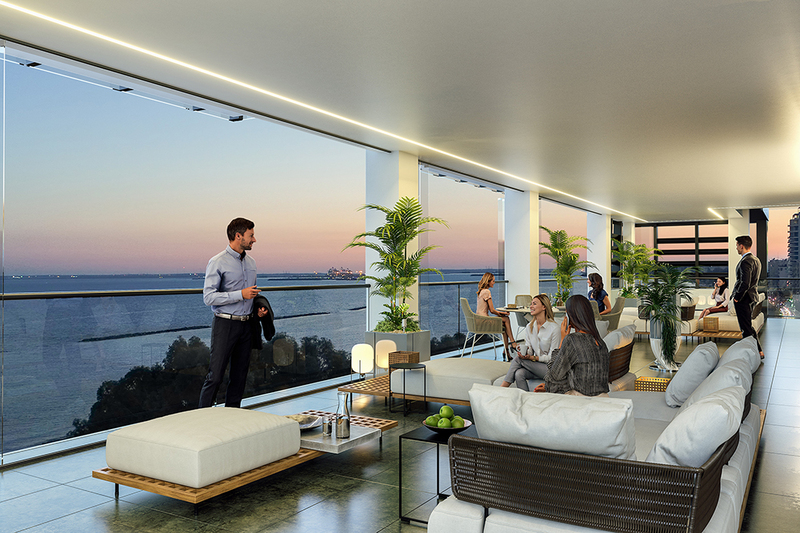 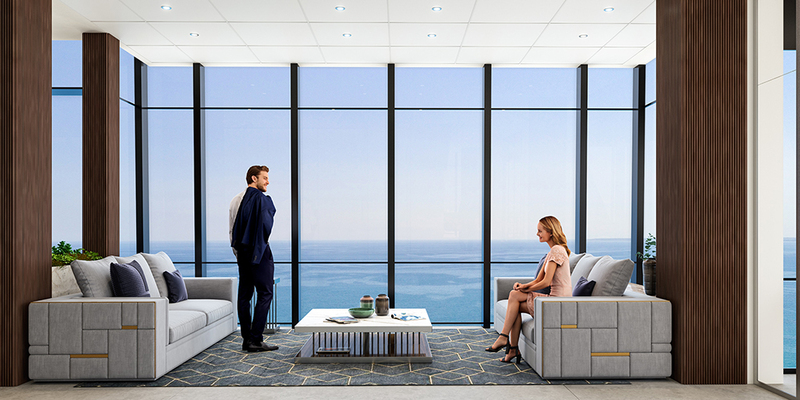 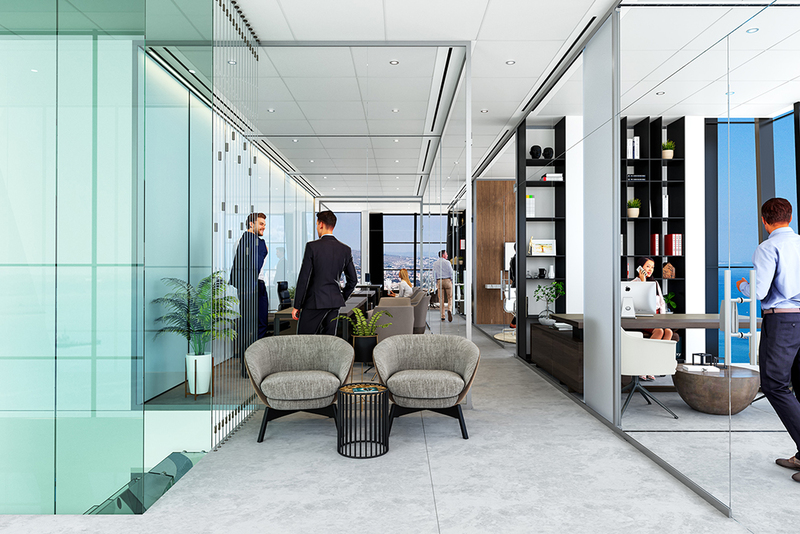 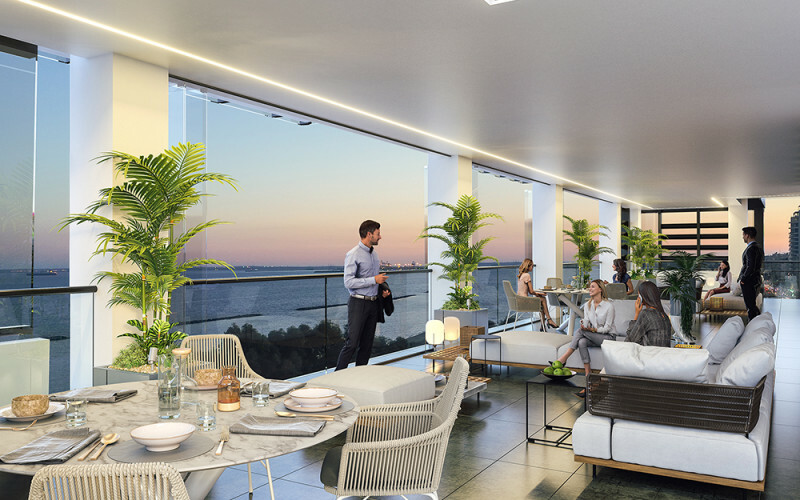 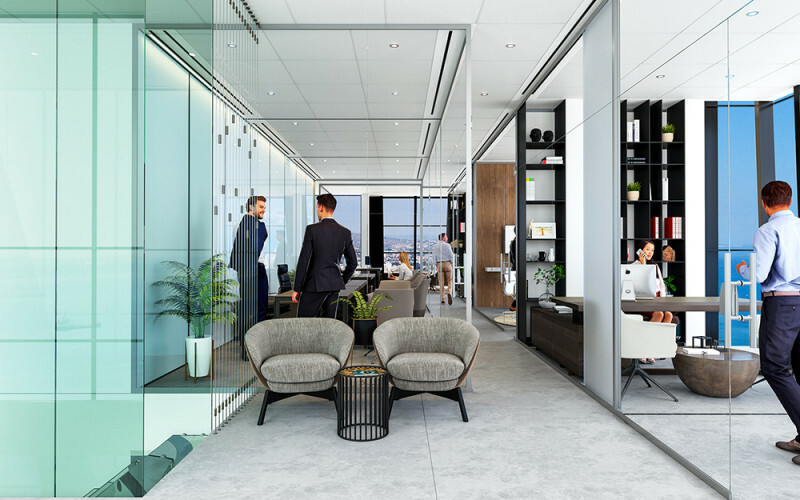 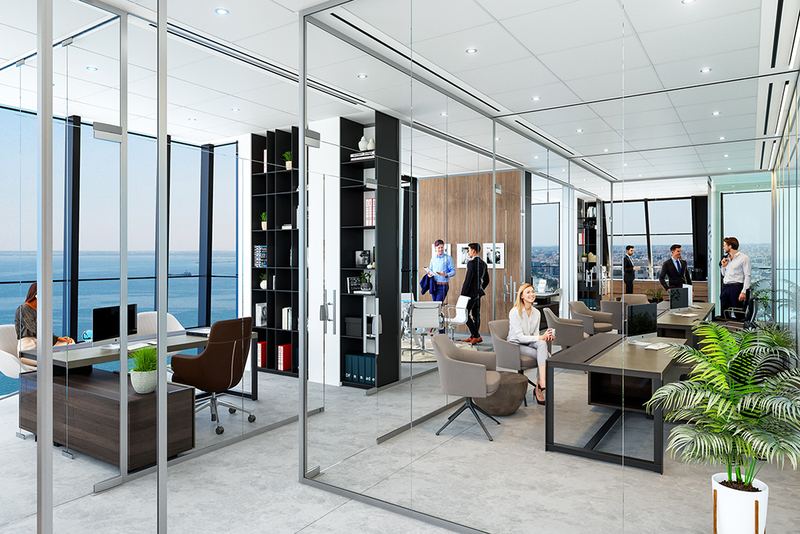 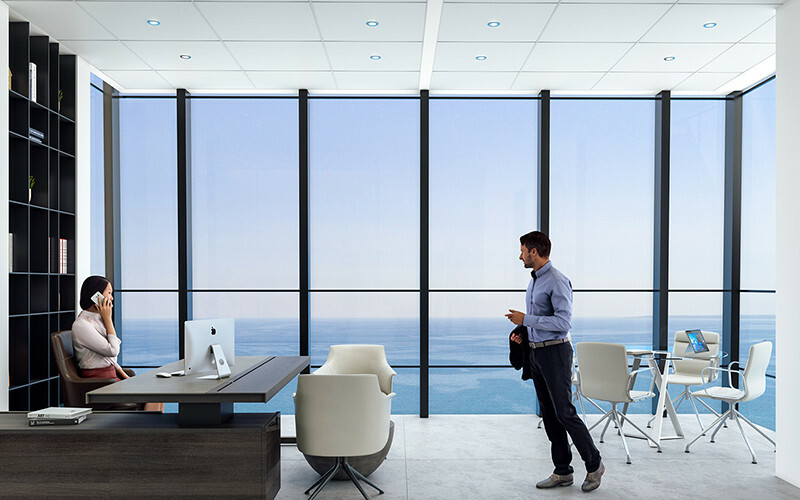 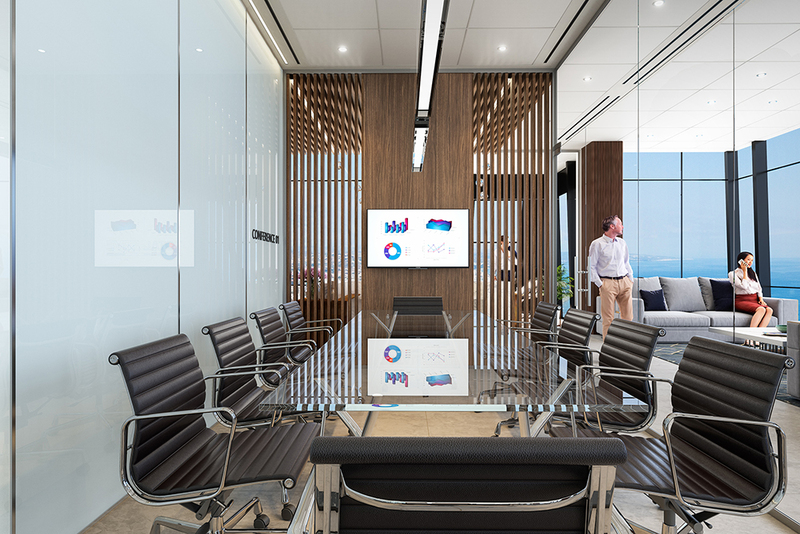 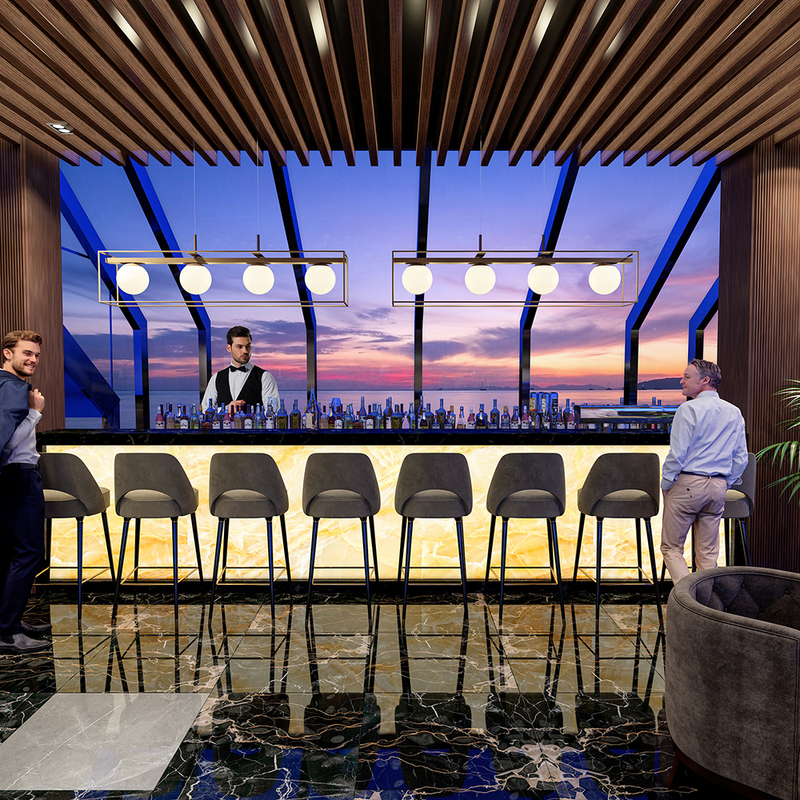 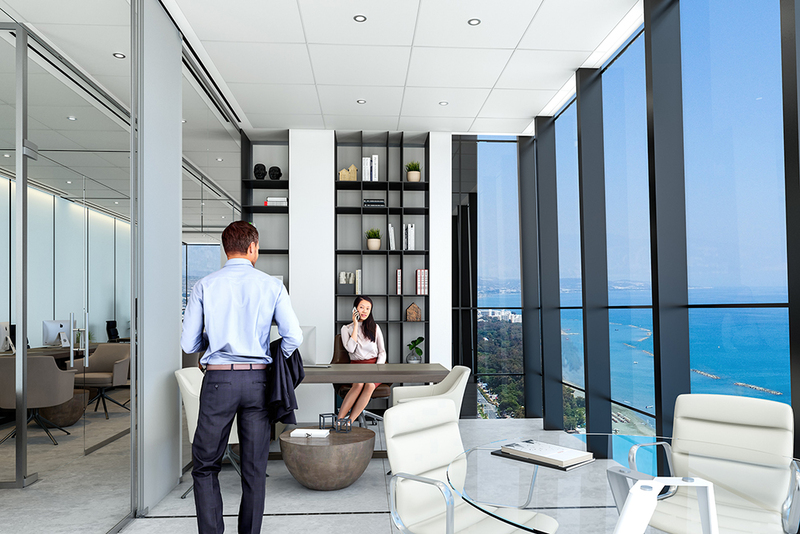 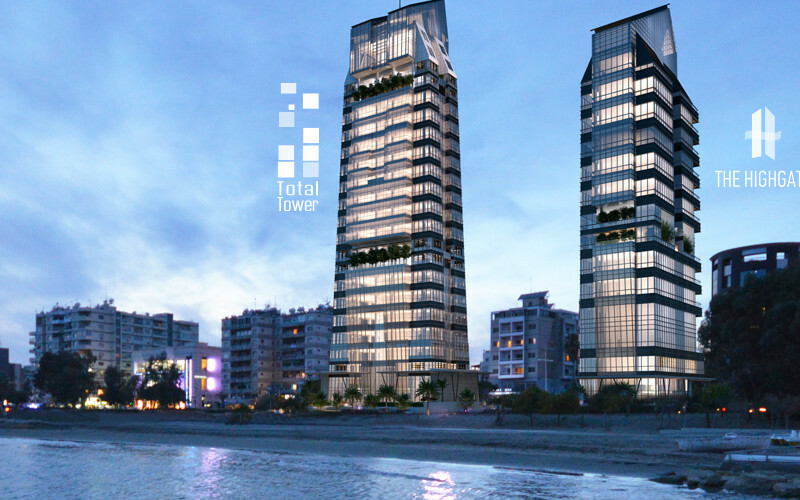 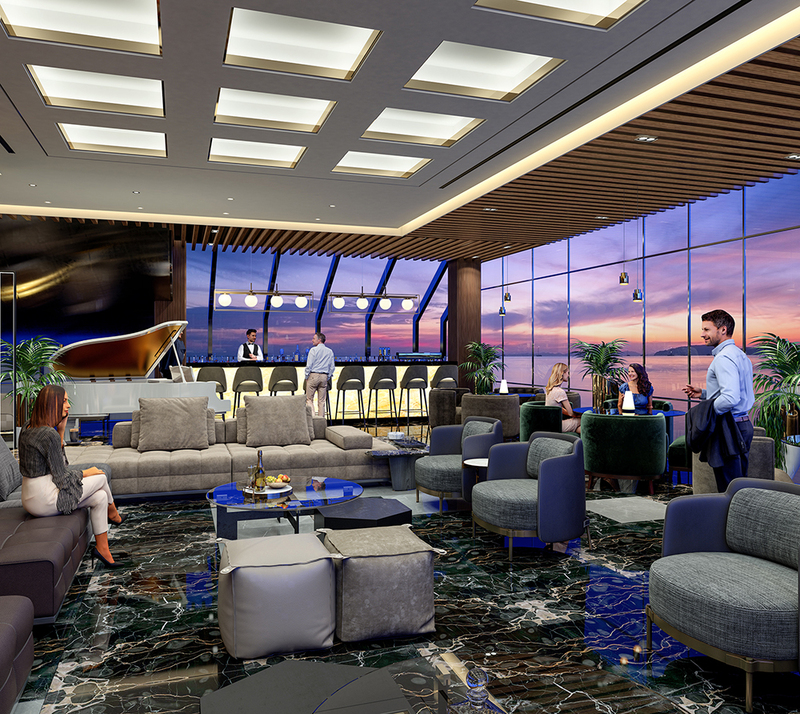 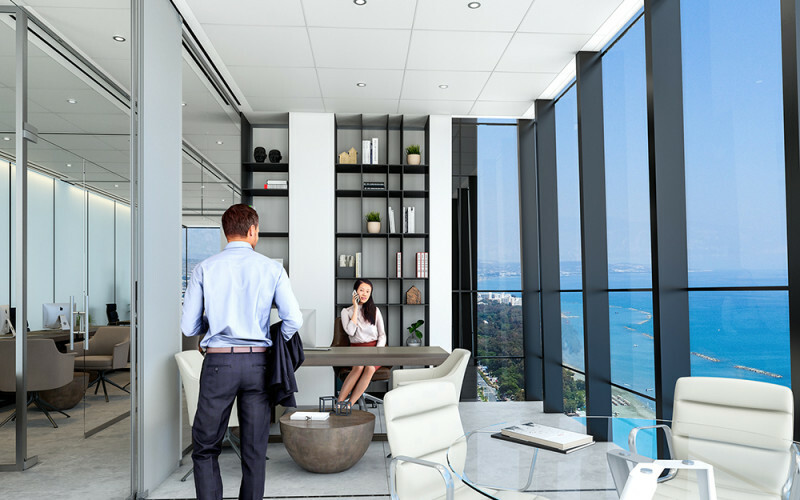 Located on the Limassol stunning coastline and in the heart of the popular long stretched shoreline, Total Tower will be surrounded by modern office complex buildings, classifying the area as an upper class business center, providing state-of-the-art facilities and services. 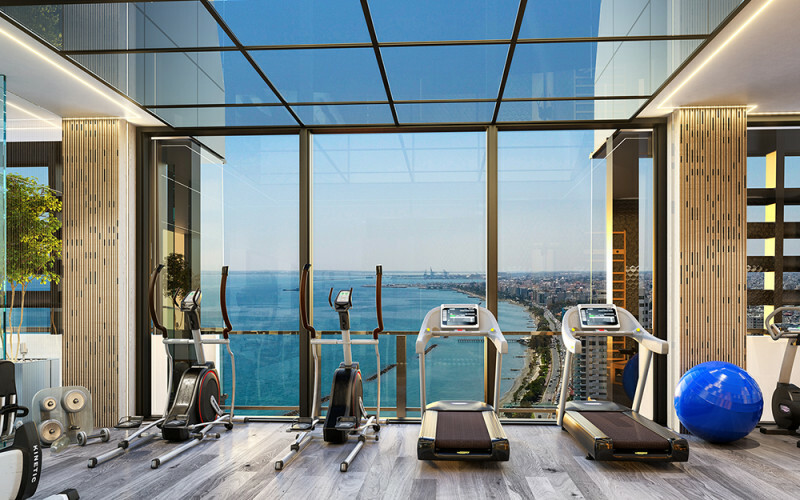 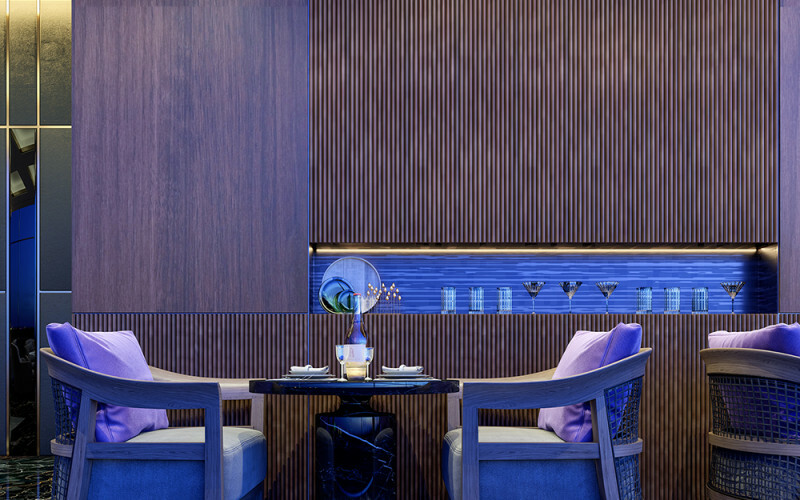 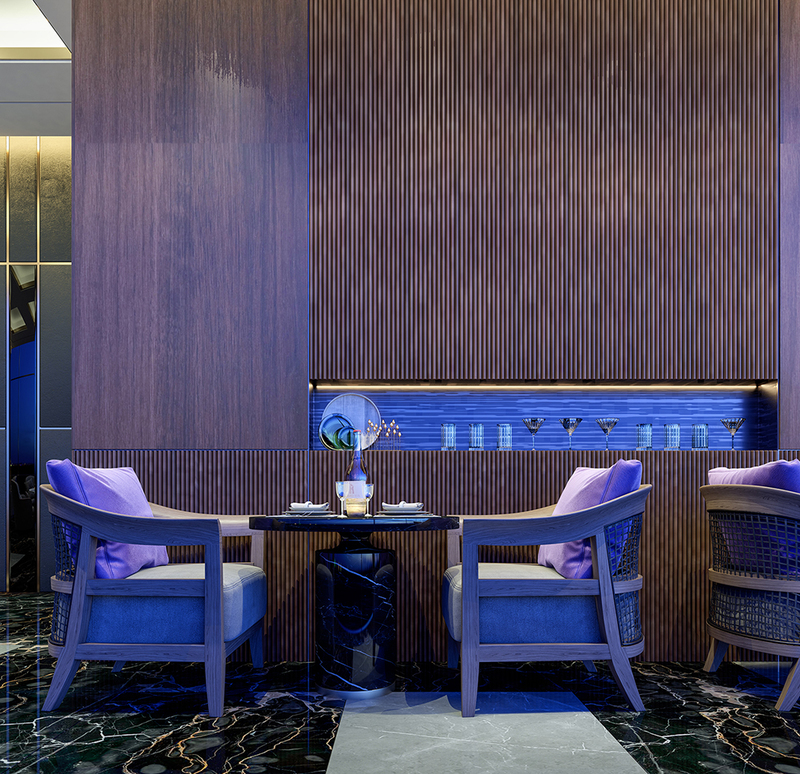 Additionally, offering clear breath taking sea views, a luxurious benefit that is both refreshing and stress relieving. 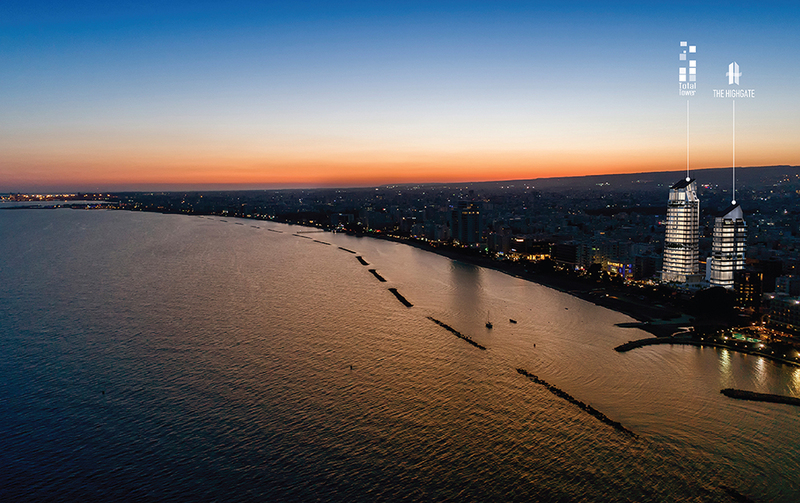 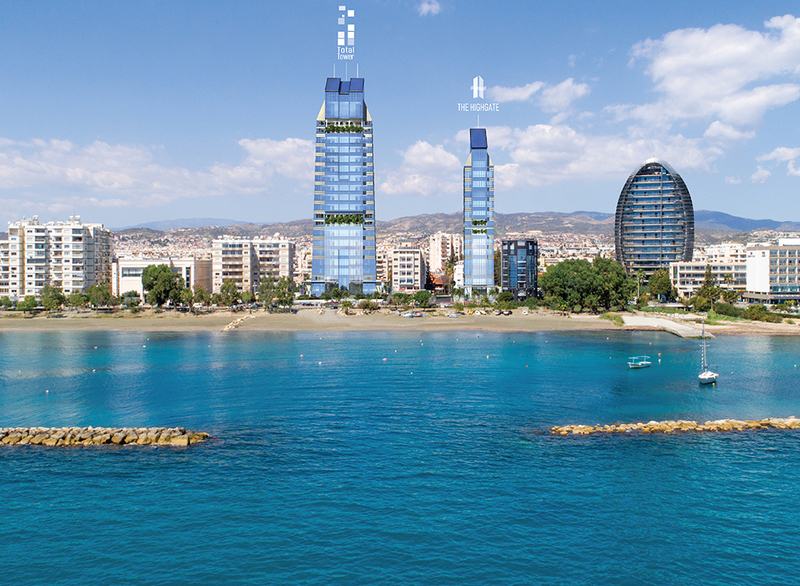 Limassol has emerged as an ideal Business Location mostly due to the ample benefits it offers to companies desiring to expand their activities. 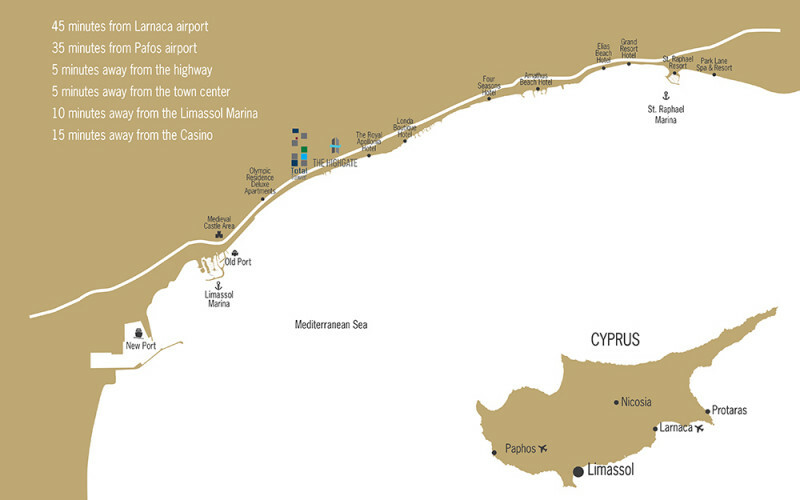 Being a European Union member state, Cyprus provides world-class services and excellent infrastructure that help facilitate the growth of International Businesses. 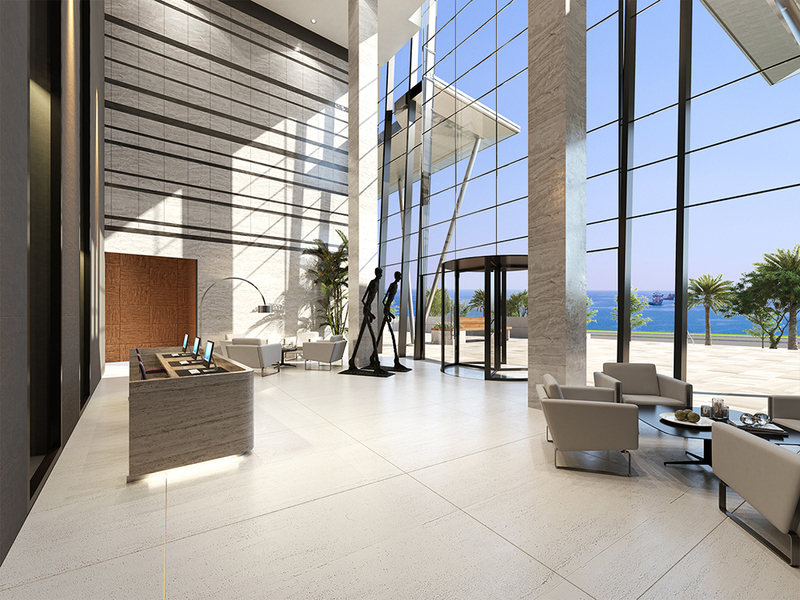 The finest and most elegant materials are being used for the construction of the tower. 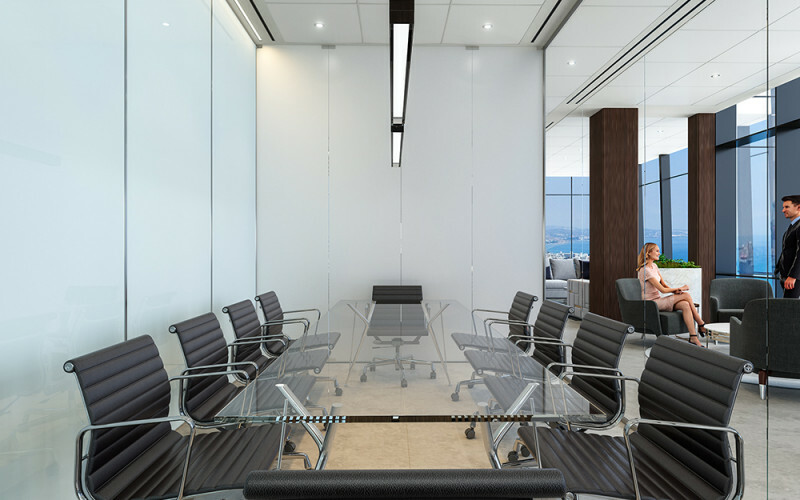 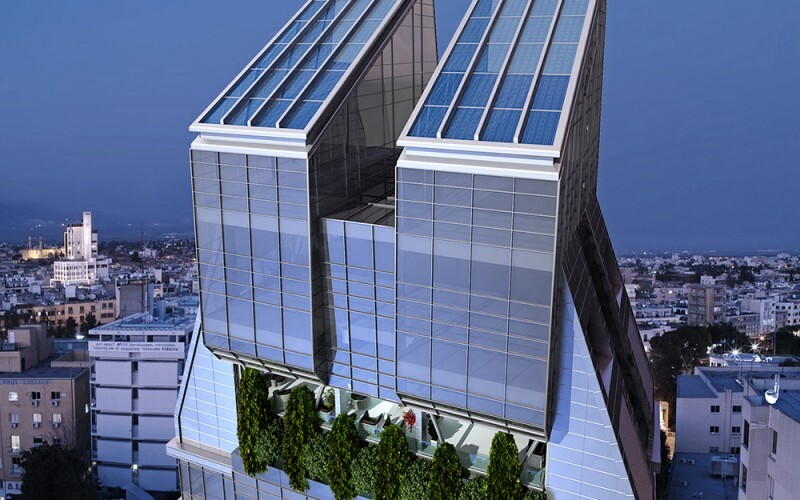 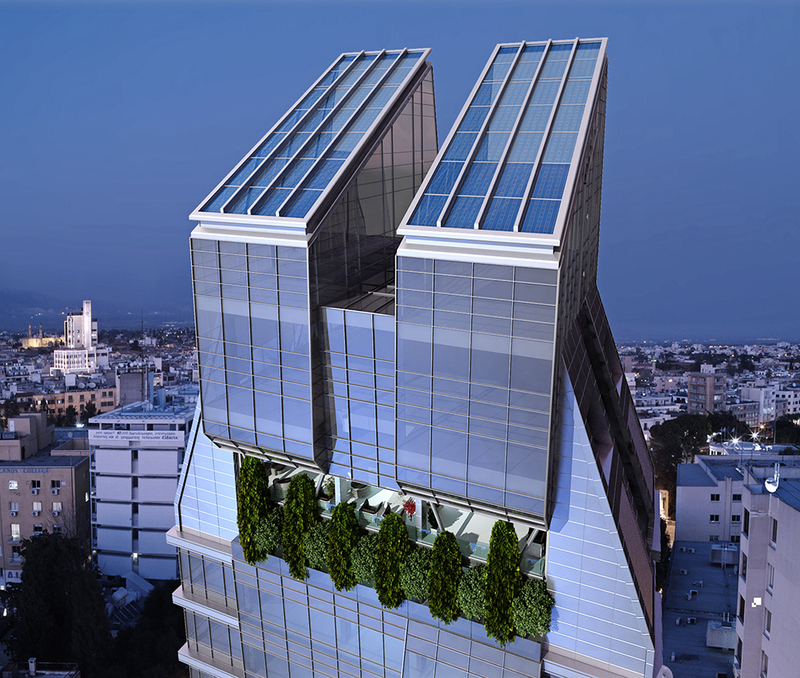 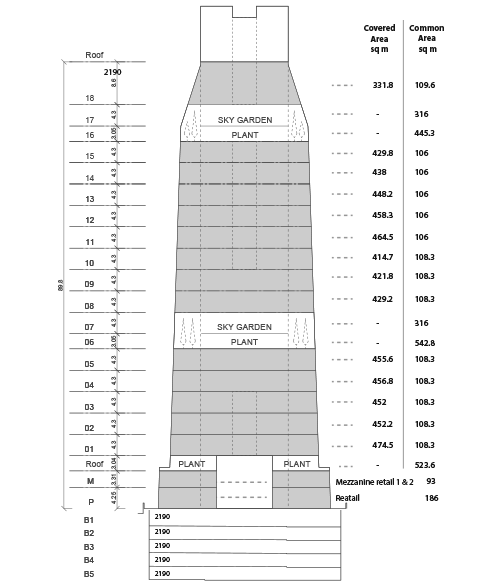 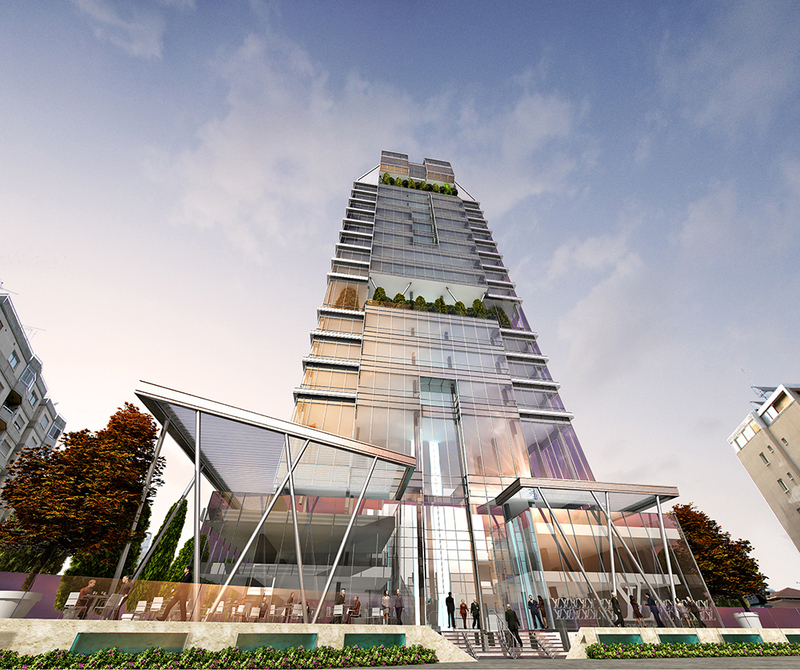 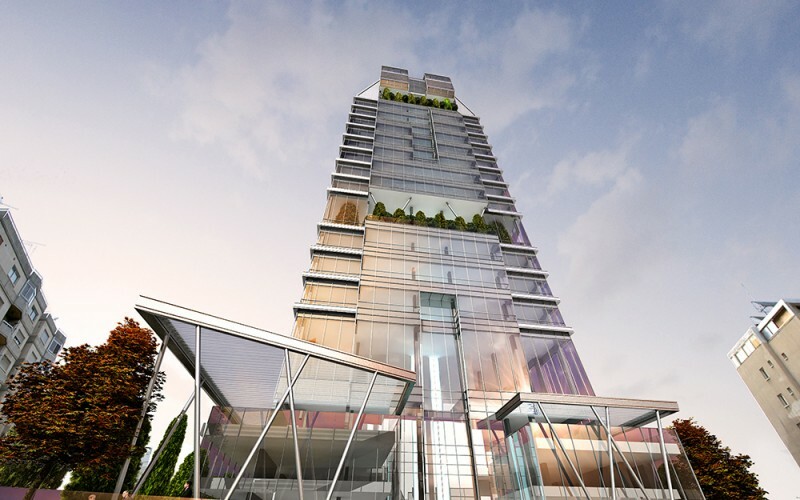 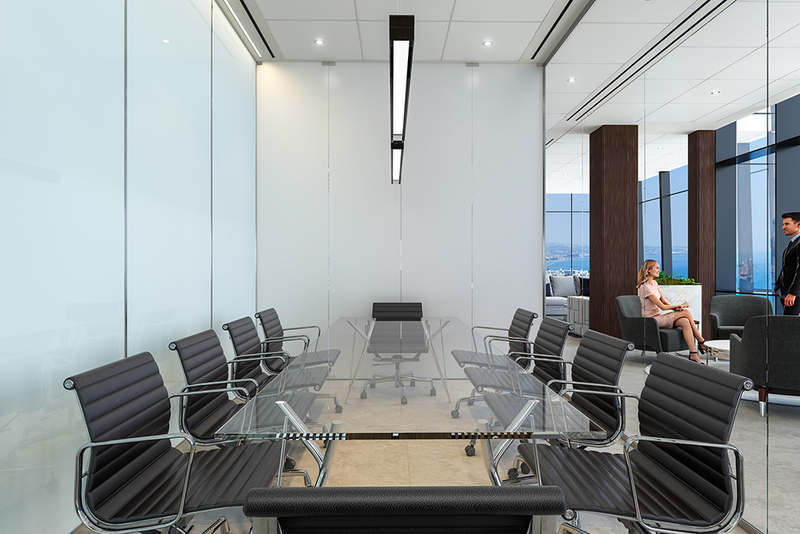 Sustainability is the focal point and the structure qualifies as a Grade A Green tower with maximum energy efficiency. 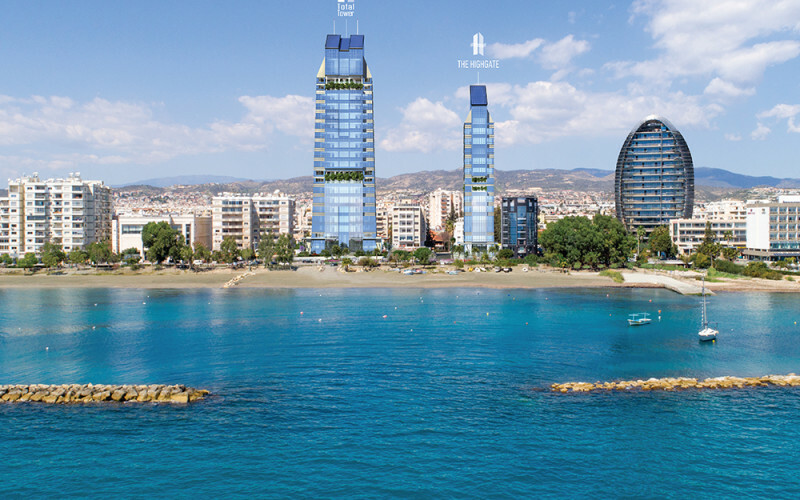 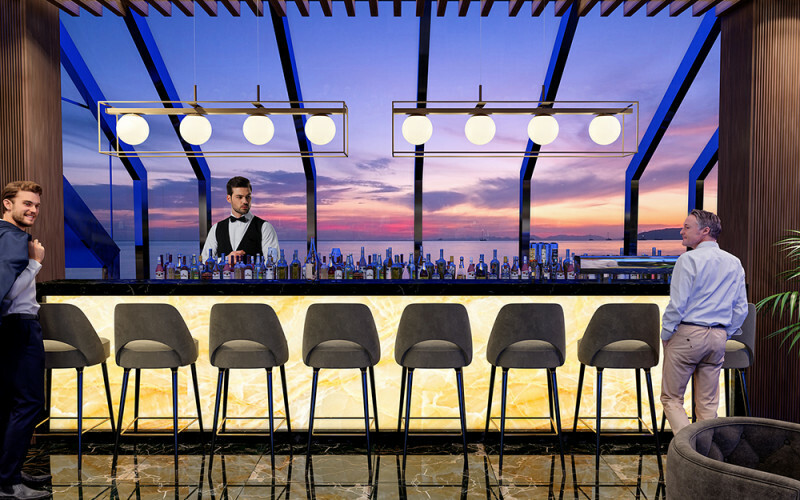 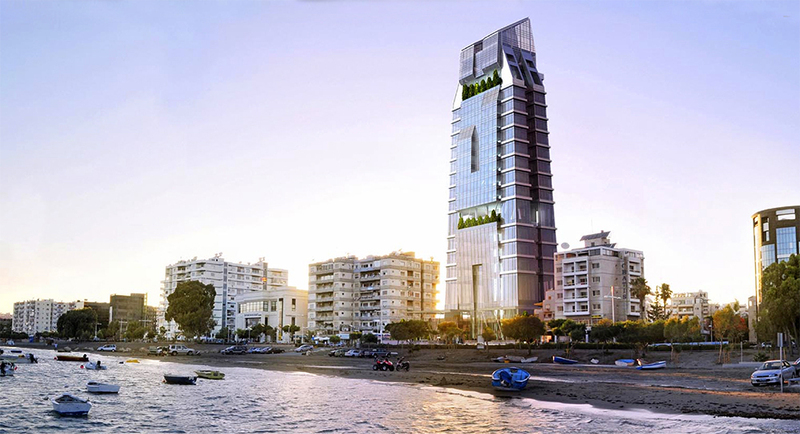 The tower is capped by a fully glazed cut crystal structure at the top incorporating photovoltaic arrays and LED light fixtures which will illuminate this feature by night creating a powerful visual reference point along the Limassol Coast. 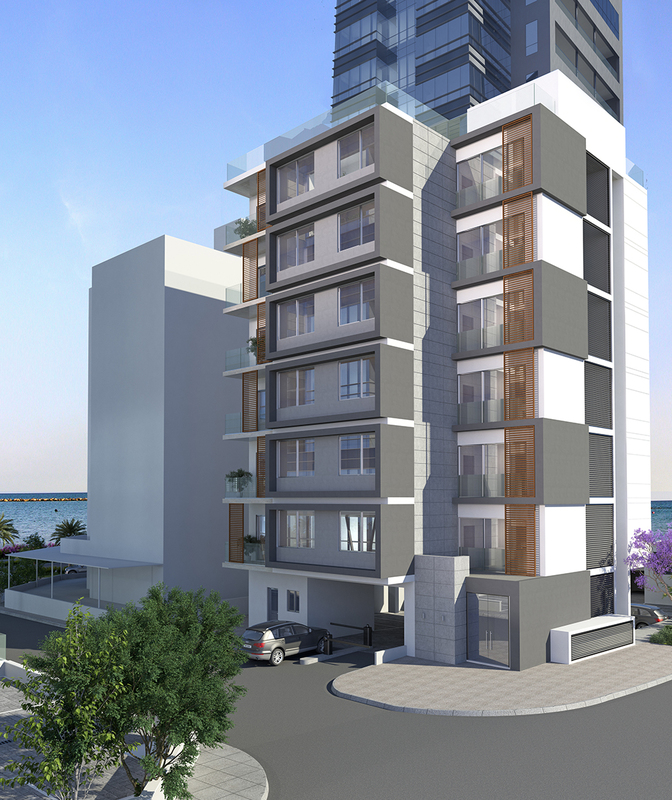 Approved building coefficient 5,055 Sq.m. 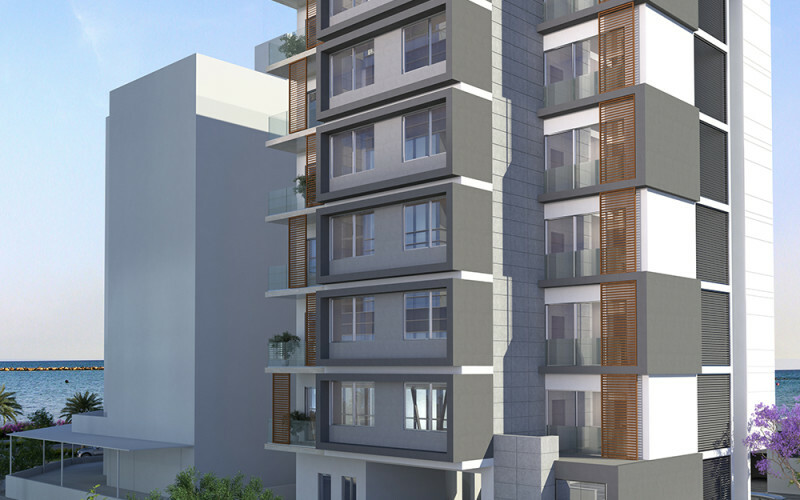 Building coefficient will increase with an extra 2,017 Sq.m. 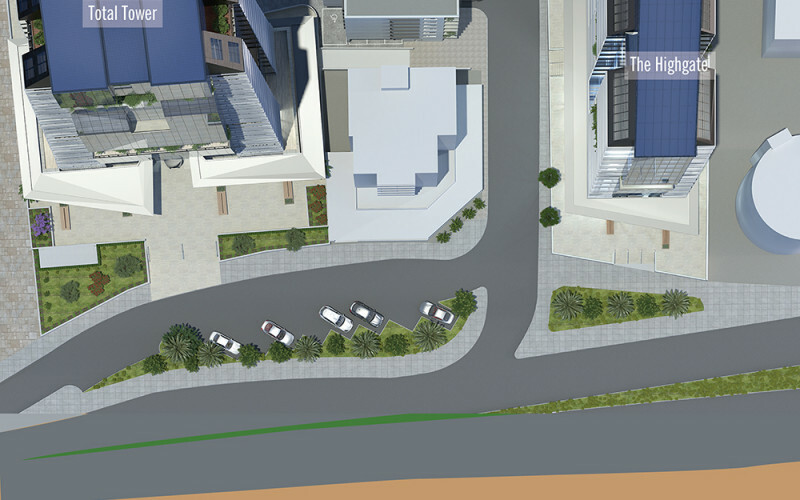 Total building area 7,911 Sq.m. 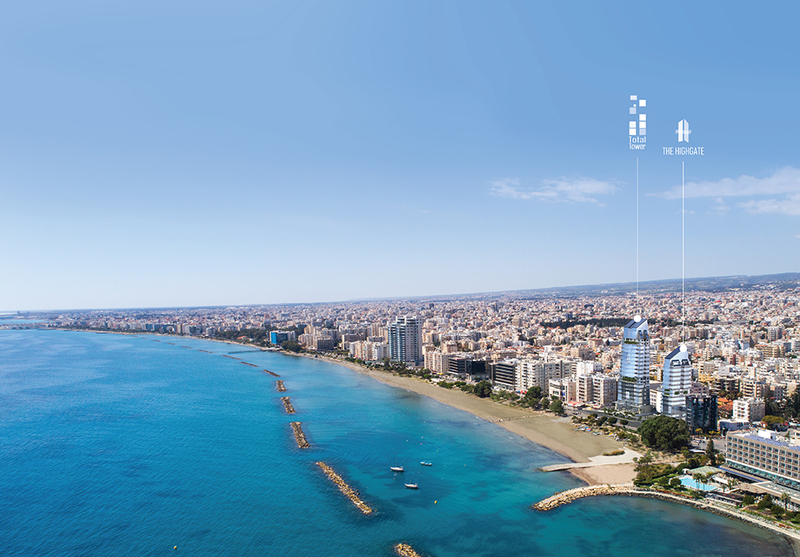 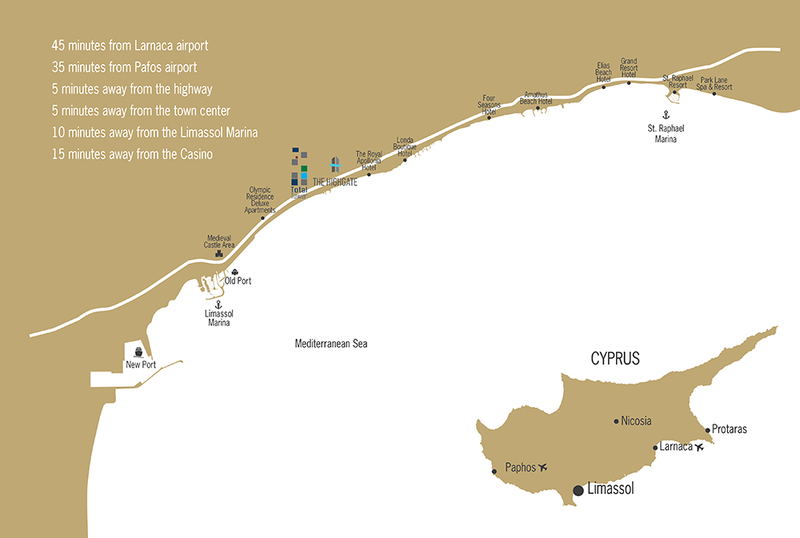 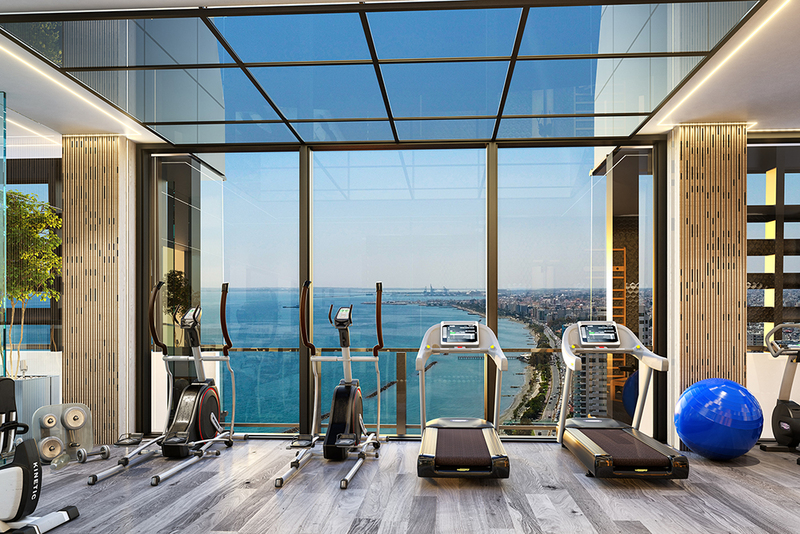 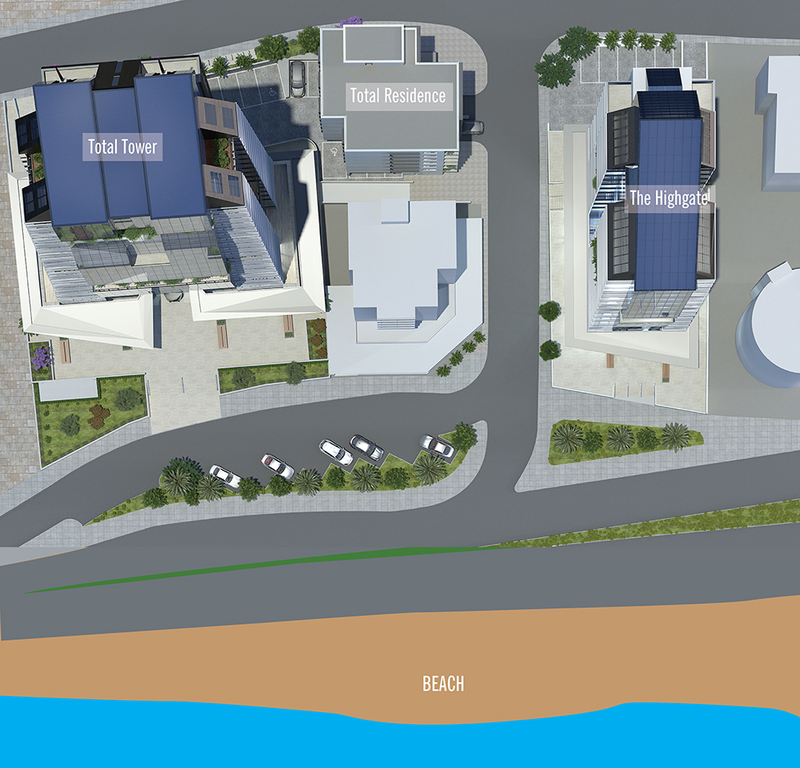 Situated in Limassol, at the heart of Cyprus’ main business hub and at the beachfront of the Mediterranean sea. 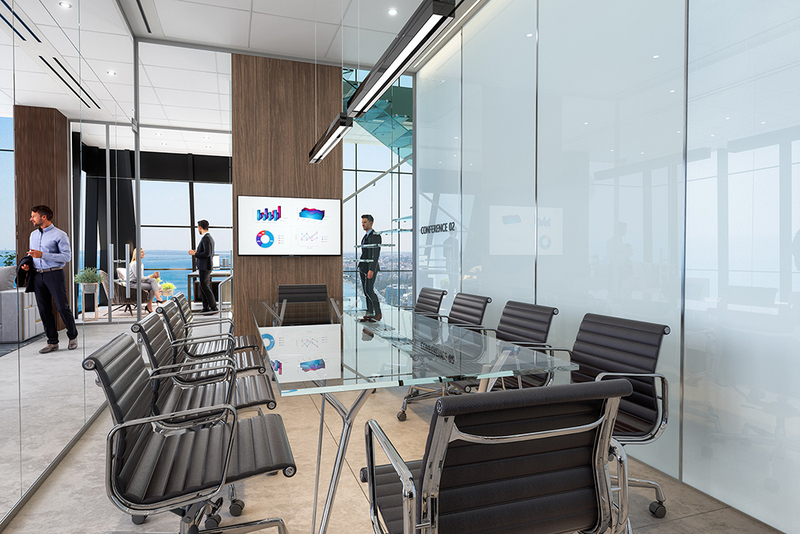 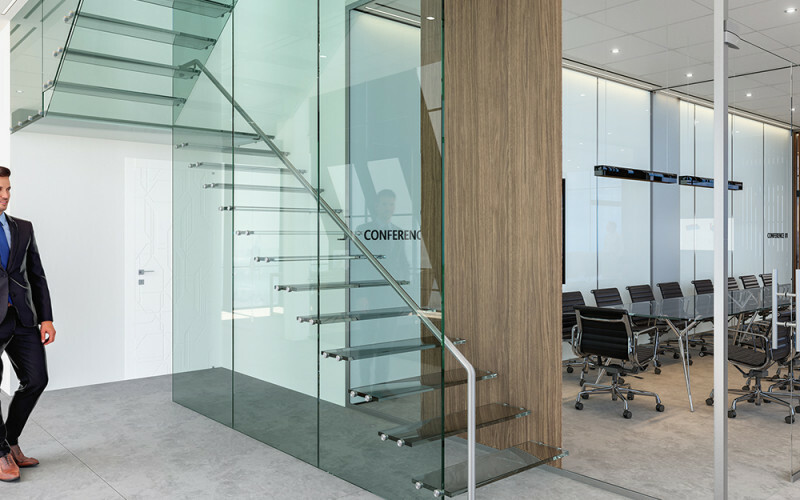 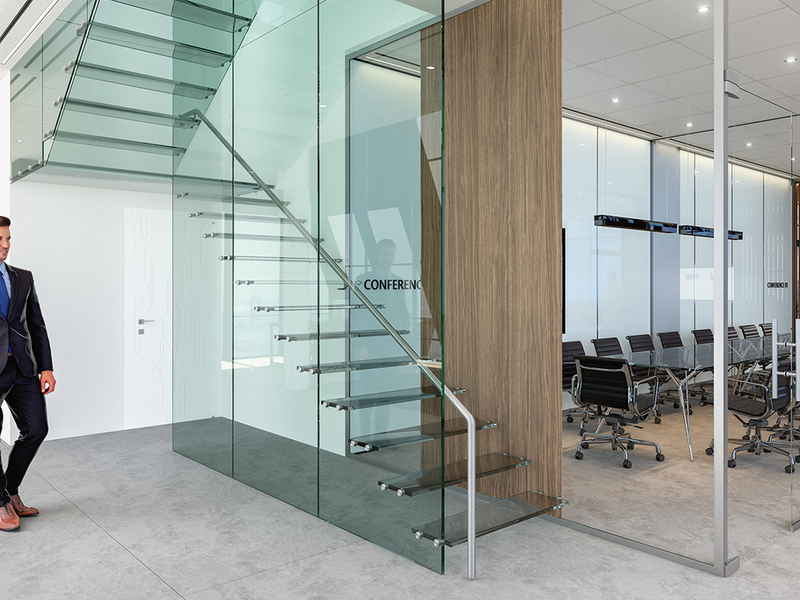 Please schedule an appointment for the projects presentation.